DIY: How To Make Fried Oreos - High. How Are You? Fried Oreos, a state fair staple, can be easily replicated from the comforts of your apartment. This dessert basically consists of dumping Oreos into funnel cake batter and frying it. It’s incredibly delicious but terrible for you arteries. Hey, its safer than that ‘Tilt-A-Whirl’ they threw up in less than 10 hours! Combine milk, egg, vanilla in a large bowl. In a separate bowl, combine flour, salt, baking soda, and sugar and gradually add to wet ingredients. 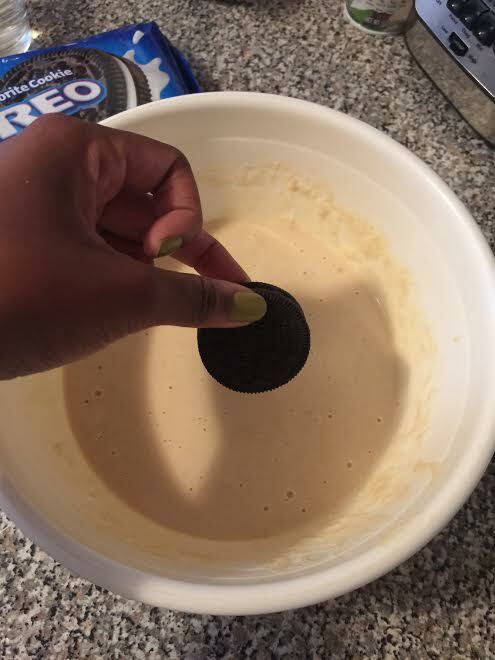 Beat with a mixer until a smooth batter forms. Fold in melted butter. In a medium, heavy-bottomed saucepan, add enough oil to come 1/3 of the way up the sides of the pan, or about 1 1/2 inches deep. Heat oil to 360 degrees F. Dip cookies in batter and carefully place in hot oil. Fry until batter is golden, about 2 minutes. 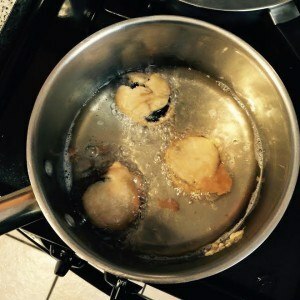 Turn cookies and fry for 1 more minute. Remove and place cookies on a paper towel-lined plate. Dust with confectioners’ sugar and serve immediately.